Scott Frantz was born today, June 7, in 1996. 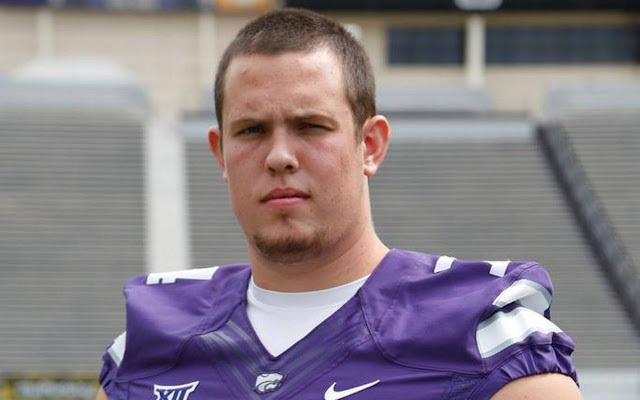 He is an American college football offensive tackle for the Kansas State Wildcats of Kansas State University. Frantz attended Free State High School in Lawrence, Kansas, before committing to Kansas State. Frantz publicly came out as gay, joining My-King Johnson as two of the first openly gay players in the NCAA Division I Football Bowl Subdivision. In 2017, Frantz became the first openly gay college football player to play in a game for a NCAA Division I Football Bowl Subdivision school.